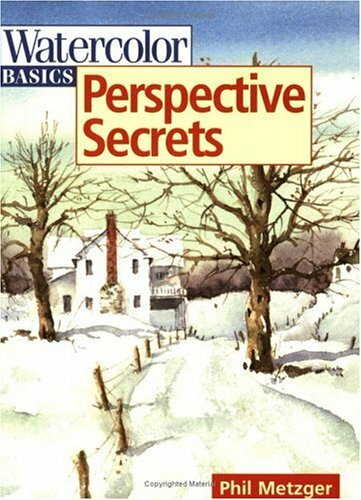 Watercolor Basics - Perspective Secrets is not so much a book on watercolour, but more on perspective tips and tricks that you can use to make your paintings better. Better in the sense that they would offer more clarity, helping the viewer understand the space and scene you're trying to portray. The book's split into several chapters each relating to perspective or distance. For example, things far away are smaller, and how would you use that in your painting? Things further away are less saturated and more difficult to see, and what techniques you can use to show that sort of effect. The techniques are simple to apply but they make a huge improvement to the art. The instructions may be brief but surprisingly useful. The illustrated examples are wonderful at bringing the point across. This is a great book to get that will help you create more depth into your paintings.